There is one scenario that requires 2 long 6-hex pieces and 2 7-hex pieces. Zack had the good idea to split these up into 2 pieces each combining other smaller terrain pieces needed for other scenarios. With those big pieces taken care of, it was all about creating variety. 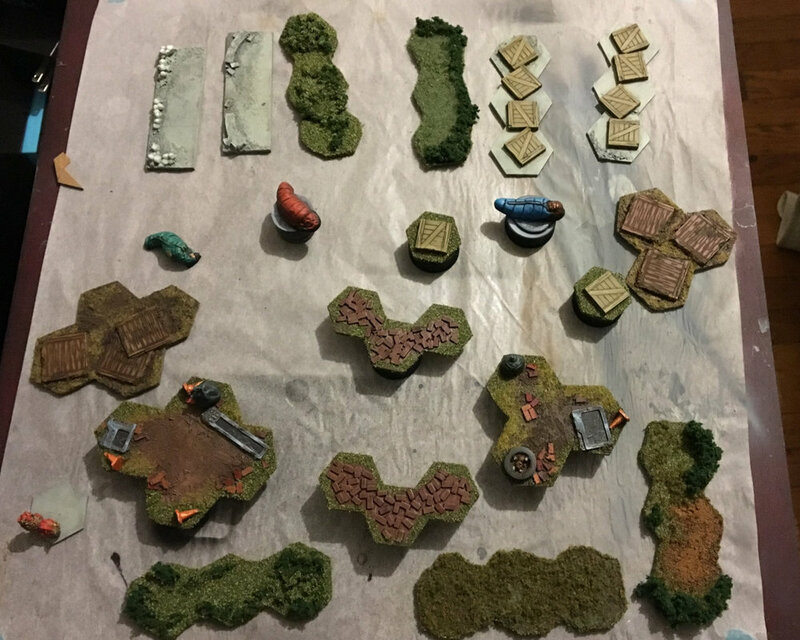 I searched for anything useful I could find to make interesting terrain pieces that would “look” 3d but that a model could stand on. The biggest challenge with this part of this project (aside from finding the time) has been making terrain that is essentially 2d, but making it appear as 3d and interesting as possible. Getting this done was a huge weight off my shoulders. The board is playable and the terrain is good to go. 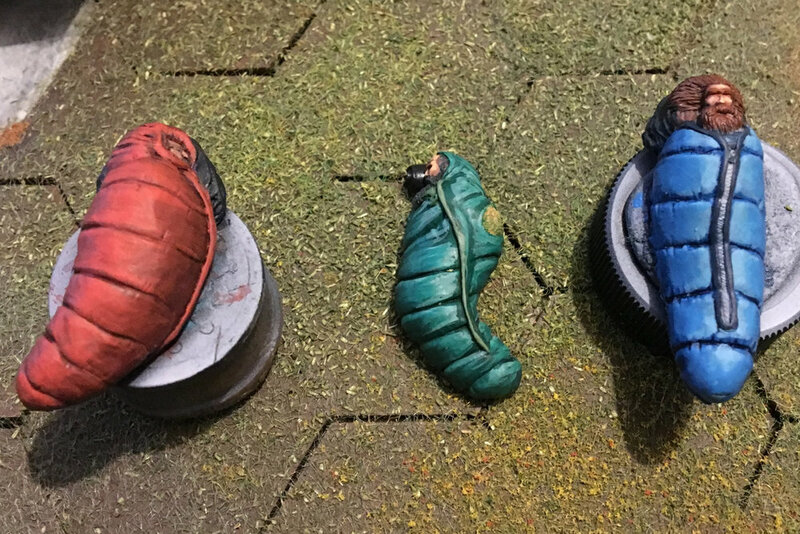 Adepticon - here we come! Tomorrow, for extra credit, I am hoping to get the end-cap finished to bring along. 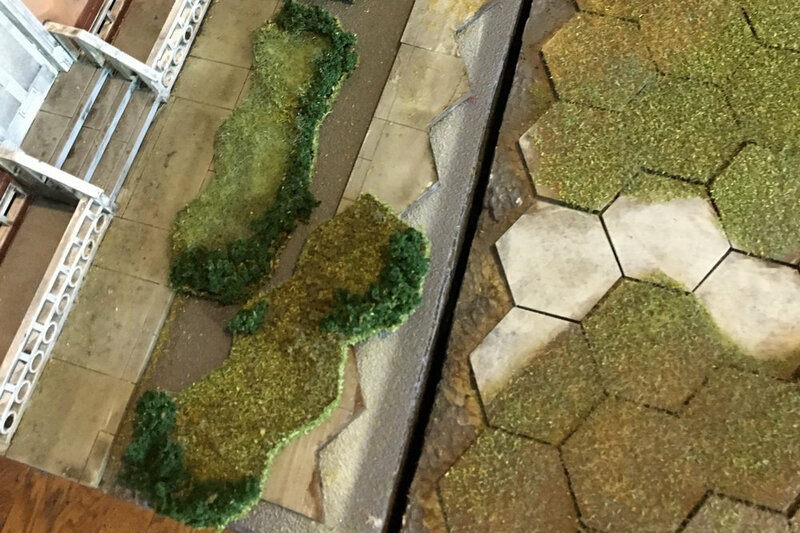 What do you think of the terrain? Any ideas for terrain that would translate well into 2d?